Successfully Added HD Mini WiFi Camera WhiteHD Mini WiFi Camera - 720P, Infrared Night Vision, APP, Support Micro SD, Magnetic Mount (White) to your Shopping Cart. This HD Mini WiFi Camera has multi-layer coating technology, F1.2 high-pass light ability, the image is clear and realistic, is clearly visible. It Supports external TF card up to 64GB large capacity, plug and play, easy to use. With the magnetic mounting method, it is easy installation and could be stuck to the metal surface of the net and catch the most exciting moment. It supports 24-hour real-time monitoring and built-in microphone that supports live video, snapshots and recording. Build-in 5pcs IR LED Lights and the night vision distance up to 5 meters. Along with its 500mAh battery, this mini camera lets you record video for up to 120 minutes in a row. 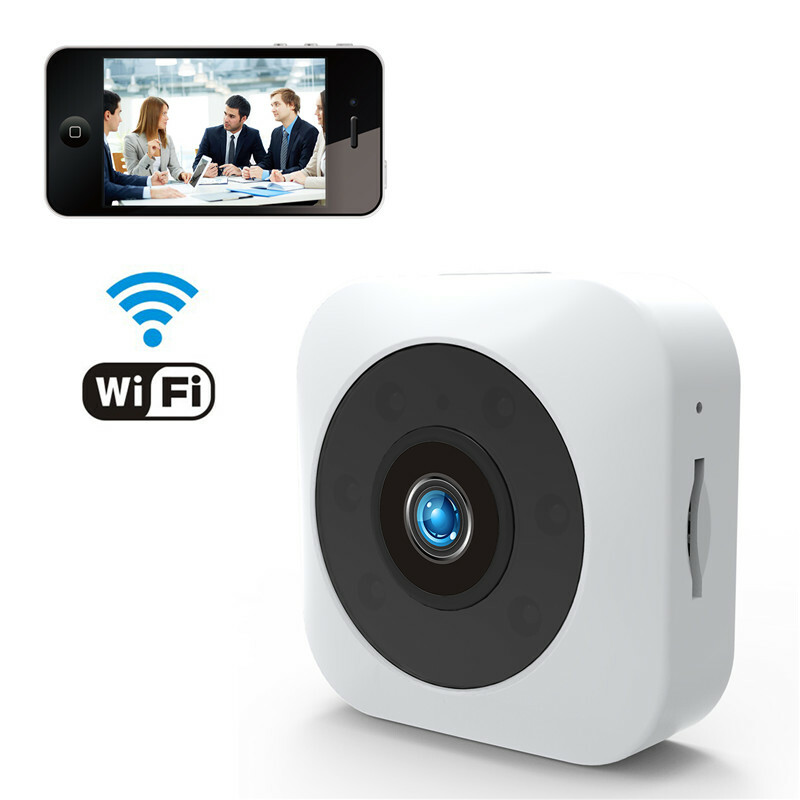 The camera furthermore supports motion detection and loop recording. All your photos and video will be stored instantly on the camera’s SD card (not included). With this mini action camera at your side, you can be guaranteed that not a single special moment in life will pass by uncaptured ever again..